45 years ago, Nick Drake’s “Pink Moon” was released. It’s the third and final studio album by the English folk musician Nick Drake. Released in the UK by Island Records on February 25th, 1972, it was the only one of Nick Drake’s studio albums released in North America during his lifetime. 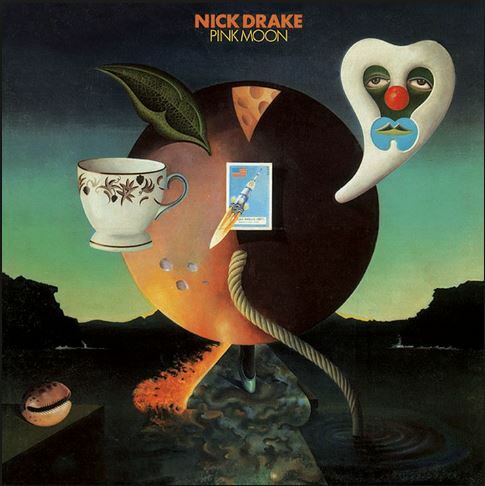 Nick Drake never had anything resembling a hit in America, but “Pink Moon” is his most popular and recognized song after Volkswagen used it to sell their Cabriolet in a 1999 commercial. Nick Drake had made the decision that this album would be as plain as possible and free of the numerous guest musicians that he had used before. The album contains just Drake’s voice, piano and acoustic guitar. These three elements are all that is heard on the entire album, as there were no outside musicians involved. In fact, the only man who seemed to know that Drake was even making the album was his producer/engineer John Wood, who was recording it. Wood had worked with Drake on his previous two albums and was one of the few people Drake felt he could trust. Even then, Drake was being called, “the great silent enigma of our time.” His record company, Island, claimed that they had lost track of him, and only knew about the album when Drake walked into Chris Blackwell’s office and delivered the masters. The album was recorded at Sound Techniques studio in London in late October 1971 with just Drake and Wood present. The studio was booked during the day, so Drake and Wood arrived around 11:00 p.m. and simply and quietly recorded half the songs. The next night, they did the same. In only two late night sessions, with just his voice and acoustic guitar, Drake created what is considered by many to be one of the “most influential folk albums of all time”. “Pink Moon” would be Nick Drake’s last album; two years later, at the age of 26, he was dead. He released only three albums, but decades later, musicians are still discovering his work and citing him as an influence. His Cause Of Death was determined to be suicide from an overdose of approximately 30 amitriptyline pills, a prescribed antidepressant. Nick Drake was ethereal, and sensitive. His talent was lauded while he was alive, but he was a hard artist to pin down among the glitz and excess of 70’s era rock-n-roll. Competing with 70’s showmen like Robert Plant, David Bowie, or Elton John was not part of Drake’s programming. He never had his “Lizard King” moment or played Woodstock, but his musical contributions have left a lasting impression. Today, in the age of digital downloads, where everything old is new again – he’s a bright, shining, diamond waiting for new music lovers to discover. “Pink Moon” is timeless and Nick Drake has reached immortality. 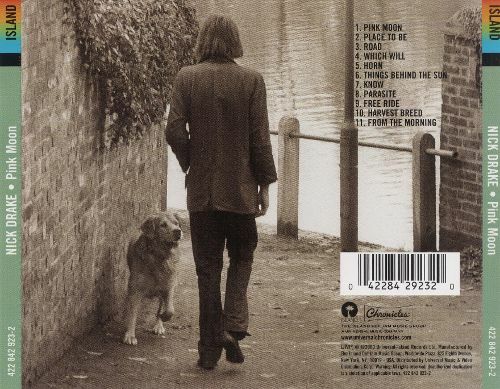 Gone, but not forgotten, Nick Drake is everywhere. Thanks for playing. All songs written and composed by Nick Drake.